Jessie Steele offers designer vintage aprons, chef's aprons, and flirty hostess aprons. Also available are adorable children's aprons and oven-mitts that coordinate with the adult aprons. These aprons and matching oven-mitts would make the perfect gifts for moms as they gear up to host those PTA meetings and get ready to tackle those bake sales. Baker's Edge is well known for its revolutionary Edge Brownie Pan that allows all the edge-lovers of the world to have at least two edges on each brownie square. 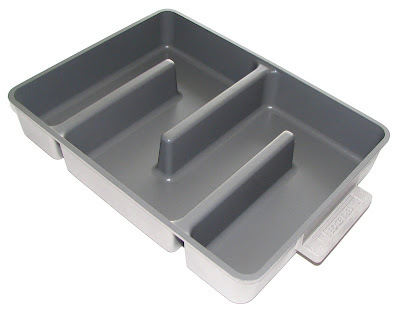 With the upcoming introduction of a new lasagne pan, parents everywhere will be armed and ready to tackle those bake sales and pot luck dinners. The winner may choose one in-stock apron of their choice. The winner can choose one designer tote bag of their choice from any collection on the Envirosax website. 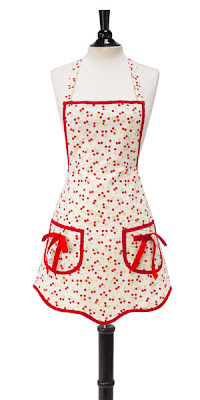 1) Take a look at the selection of aprons offered by Jessie Steele. Then leave a comment telling us which apron you would choose if you won this contest. 2) Take a look at the free dessert recipes on the Baker's Edge website. Then leave a comment telling us which recipe sounds the yummiest to you. 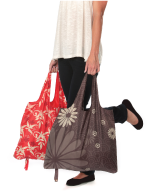 3) Take a look at the selection of tote bags offered by Envirosax. Then leave a comment telling us which bag you would choose if you won this contest. You MUST do ALL THREE to be eligible to win this contest, but you will receive one entry for each completed mandatory entry provided you leave a separate comment for each. 1) For 5 extra entries, leave a comment on any of my non-giveaway posts. Then leave FIVE separate comments telling me the title of the post you left your comment on. You will earn 5 extra entries for each non-giveaway post you leave a comment on.